But until that happens, here’s another underwhelming fossil fish to idly pass the time. Tick. Tock. This month’s underwhelming fossil fish of the month may be evidence that somebody has been time travelling and messed with this universe’s time stream as both I and Grant Museum Curator, Tannis Davidson, are convinced that this species has already been featured as an underwhelming fossil fish of the month but the blog archive says otherwise. So here’s this month’s fossil fish (again for those of us who remember the previous reality). What we have here is decidedly the least interesting part of a fossil fish. The bar of interest is set extremely low in this series but a head, well that’s the business end. A tail, I can work with that. A middle? What’s there to say about a middle? According to the Grant Museum database this specimen was labelled Dipterus valensiensis, collected August 1966 from Achanarras, Caithness in Scotland. As you can see the species name was incorrectly recorded which is probably due to the slightly odd spelling of the species name. Dipterus is an extinct genus of freshwater lungfish that lived in the Devonian period in what is now Europe and North America. Like modern lungfish Dipterus is thought to have possessed complex lungs, distinct from the sac-like gas bladders in other fish. Preservation There’s no head or tail and it’s not even clear which ‘way up’ this specimen should be. From a distance, the rough shape of the scales can be seen but close up there’s not much fine detail. There’s a discrete line that can be seen in this fossil which might be the lateral line or line of sensory pits. Alternatively, it could be a preservation artefact. Close up of LDUCZ-V868 Dipterus valenciennesi red arrows indicate what might be the lateral line. Scientific Research Most of the scientific literature on this species and this group of animals has focused on the cranium, teeth and the evolutionary position of lungfishes in general. of course, we all remember where we were in 2003, when the long standing palaeontological mystery about what Palaeospondylus gunni was thought to have been solved. The enigmatic fossils were proposed to be larval lungfish, possibly Dipterus valenciennesi (Thomson et al. 2003). Or a parasite. In Society Although not as obscure as many of the fish featured here, Dipterus valenciennesi is quite often reconstructed and illustrated, there’s still little societal impact. Instead, I’ve been waiting for an opportunity to share a FOSSIL FISH ANECDOTE shared by Dr Laurence Cook about Ramsay Traquair and now seems like a good an opportunity as ever. Traquair and D.M.S Watson have been mentioned in this series many times and both were active during the ‘Golden Age of Fossil Fish Palaeontology’ which I’ve just invented. 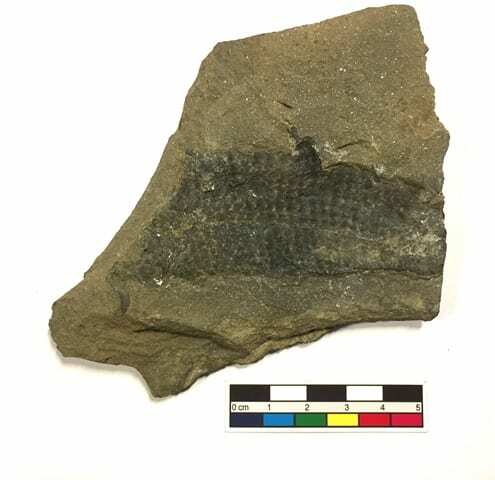 Watson and Traquair knew each other and both were very active in publishing on and describing fossil fish, including various papers on Dipterus. Here’s the anecodote sent through by Dr Cook about the incorrect reconstruction of Birkenia, which Traquair reconstructed upside down, not spotting that this would obviously, leave the mouth above the eyes. A long time ago I was a Zoology student at UCL at a time when the Grant material was in a room adjacent to our practical lab in the old mattress warehouse (aka Medawar Building). We used to have objects out for for examination, including palaeozoic fish. K.A Kermack or Pamela Robinson supervised and DMS Watson sometimes came down from his attic to talk. I seem to remember one of them saying, apropos Birkenia, that Traquair was so mortified that he had reconstructed it upside down that he left instructions that he should be buried that way in recompense. The dates do not seem to support this, however. Traquair died in 1912 and the revisions were published in the 1920s. I’ve not been able to find any other evidence to suggest that Traquair was buried upside down and as Dr Cook pointed out, the dates don’t seem to match up but it’s a nice piece of underwhelming fossil fish lore. You read it here first. At first glance there is a visual similarity between this specimen and that featured in the UFFoTM from June 2016. But thanks to all the practice this series has afforded me I can tell at a second glance that they are totally different. Totally. Different. Hmm. Does a fossil fish still count as underwhelming if it inspires a second glance? Searched Amazon for books on “Golden Age of Fossil Fish Palaeontology”. Shock! Horror! No relevant hits! And here we are, another year another Underwhelming Fish! Life just doesn’t get any better than that – well in this reality, anyway. I’m intrigued that Dipterus is thought to have quite complex lung construction. Huh. We laypersons (people?) tend to think of ancient critters as being quite simply designed, but no … nature tells us otherwise. It begins with lots of ‘let’s try it out this way’ designs and then over the eons it’s whittled down to the ‘Keep it simple, Stupid!’ construct. As always, I go away from this blog entertained, often confused, but always having learned something new. I look forward to 2018 leaving readers profoundly underwhelmed. Yes indeed.